The unique distributed testing system on the market. Adaptability and productivity unattainable for our competitors. MIMETS is a complete test system that meets the qualification and acceptance needs of critical equipment and systems. It has been designed to accelerate certification processes in such demanding sectors as aerospace or transport. MIMETS is the unique highly distributed system which allows test benches to never be small or obsolete. It also converts your test infrastructure to modular one, allowing different configurations and saving significant material costs. It is the only system in which your development of simulations and test procedures that validates your equipment or system can be reused directly for support and maintenance equipments (GSE). MIMETS runs on large test benches and on small portable equipments. 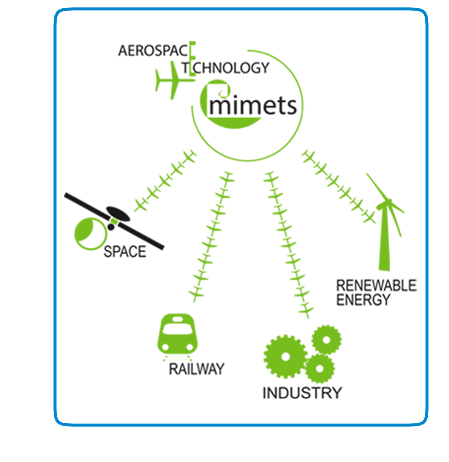 In addition, MIMETS has been developed to free the customer from hardware ties forced by other test systems. With MIMETS you will not be subject to the equipment manufactures always having the best options of the market for your product and solutions. The use of MIMETS does not required the installation of any additional software on your computer. It is a last generation web application so your computers only need a browser to interact with it. Is is therefore a cross-platform application. An additional advantage is the monitoring and management that can be done from mobile devices or tablets. Orbital CS offers open interfaces to allow the customer connect its own hardware or software components without need of transmission of confidential information. You can easily integrate, by your own, your third-part models (i.e MATLAB ones) into the test system. MIMETS is the result of a software development with state-of-the-art technologies whose purpose is the improvement in time and cost of the developments of high reliability equipment in sectors that demand complex certification processes. Cost Reduction: Up to 40% reduction on Integration and Verification HW / SW.
Reusability: Different projects and platforms. Easy to use: Short learning curve. Proven: Used in many Critical Systems.